On Sunday September 3rd the Cultural Season opened in The Hague with the UIT Festival. At 16:30 our dancers performed on the Cultuuranker podium. 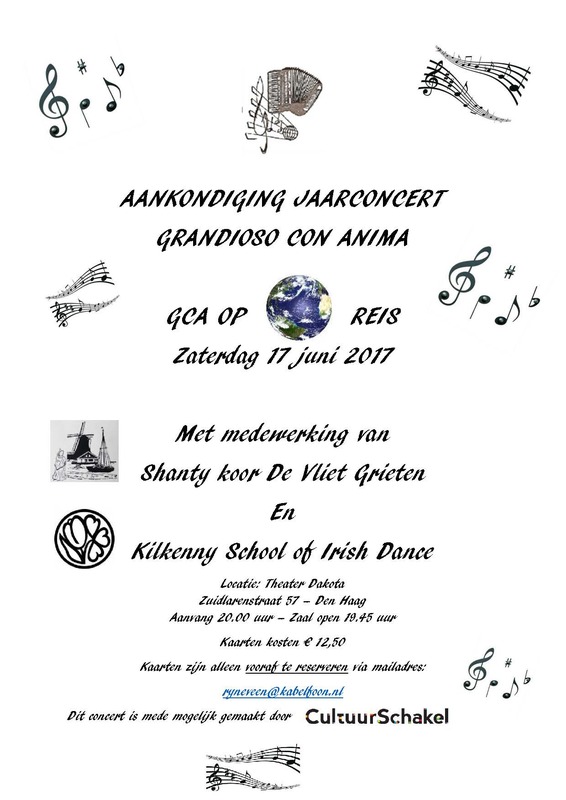 On June 17th, we will perform with Grandioso Con Anima at their yearly concert at the Dakota Theatre in The Hague.